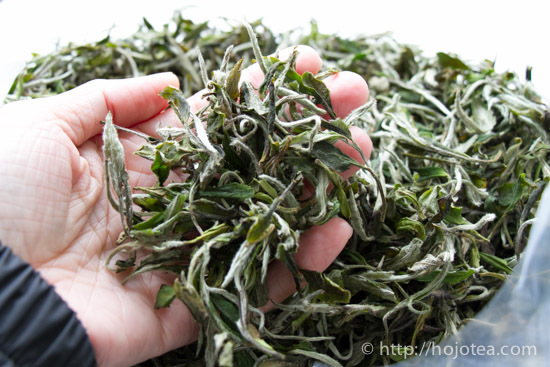 Fuding is the famous production base for white tea. In my recent visit, I noticed some unusual circumstances. In the past, the price of white tea has been quite stable. However, it these few years the price has been drastically increased. In March, I visited Fuding. My main purpose was to purchase white tea and jasmine base-green tea. At the same time, I wanted to find out the main reason why the price of white tea keeps increasing. In these few years, the “CULTURE” of keeping the white tea and making vintage white tea is spreading rapidly in Fuzhou and Fuding. In the past, people appreciate the fresh characteristic of white tea. Every one think that the fresher the better the tea. However, the situation has drastically changed in a past few years. In Fuding, I visited several white tea manufacturers. Nearly half of them tried to convince me to consider buying the vintage white tea. 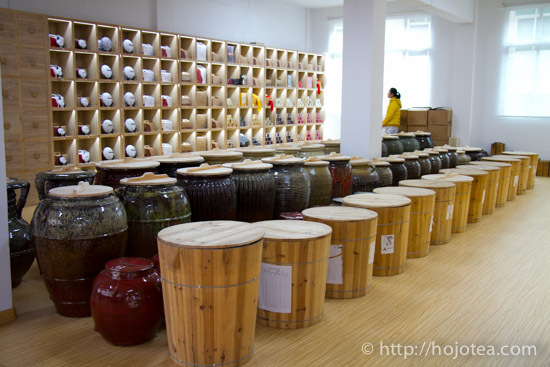 They keep the Silver Needle for 3 to 5 years, and then set the price that is almost doubled or even up to tripled of the price of the fresh white tea. In a way, manufacturer themselves were actively speculating the price of white tea. 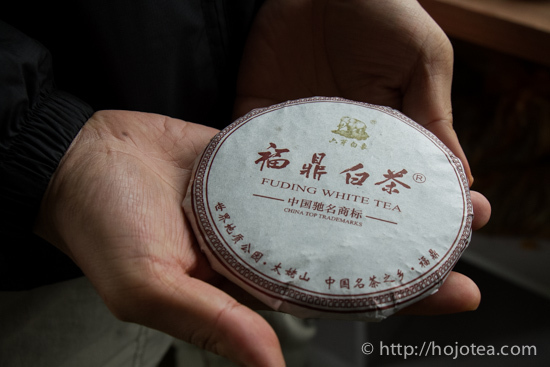 In Fuding, we saw a number of shops who sales vintage white tea. My first impression in tasting the vintage white tea. 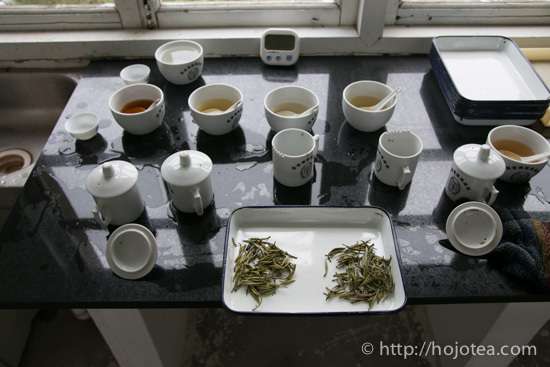 In fact, the tea-making-process of white tea is very similar to that of raw pu-erh. 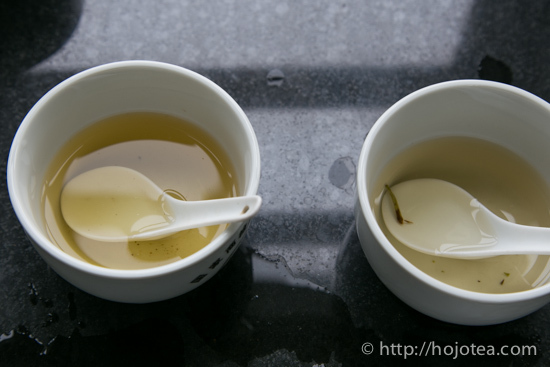 The major difference is that pu-erh involves pan-frying process, while white tea is not fried at all. I have known that the white tea that kept for a year will normally produces sweet flavour. However, I have never kept white tea more than 2 years; honestly, I was very sceptical with the flavour of 5 years vintage white tea. My honest feedback when I tasted the 5 years vintage Silver Needle was simply “WOW”. I was quite surprised that its flavour was unexpectedly nice. It gave strikingly thick dried-fruit flavour like dried prune. Somehow, the vintage white tea tastes very delicious. No wonder people there were so keen to keep tea, and this practice continues to push up the price of white tea. So far we keep white tea in a cold room for storage. But from this year onwards, I am thinking to keep it under the ambient temperature. The longer we keep the tea, the more fruity flavour it becomes. Usually, every year in spring I buy fresh white tea. For now, I am thinking to dedicate some quantity of the tea for further maturation and produce vintage white tea. I think it is an interesting idea.